in the “iPad” era will be important (maybe essential to survive) for publishers to give value to the physicality of their books, the quality and the choice of the design, print techniques and materials. In this direction are certainly the publishers that they prefer to publish limited editions,sometimes also self produced by the artists themselves. Highly individual and often important editorial projects will at last reach a wider audience and receive the recognition they deserve. Always it is interesting for me when a designer or an artist put in his projects passion, original approach, something related with the intimacy and with the space around his body, experimentation, accident, research. In Stephen’s pictures there are all these things. He also understand the craft of making a book – not just a book, but a great book, one that presents its content in the best way, and creates an emotional and physical bond with his audience. Stephen Gill founded his imprint Nobody in 2005 in order to exercise maximum control over the publication process of his books. 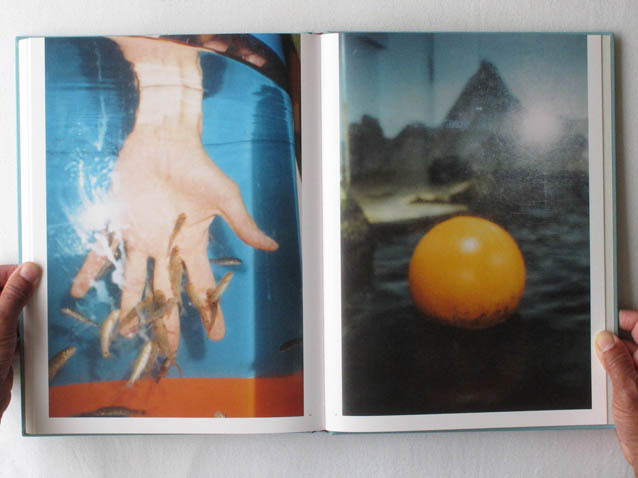 His intention was to make books at one with their content rather than just a shell to house photographs. Experimentation with materials, and a hands-on, tactile approach to maquette making led, in many cases, to his books having an individual, unique presence. This could come in the form of spray paint, or a rubber stamp, sometimes entire books are manufactured and assembled by hand in his Hackney studio. Her last work “I wonder” it is an amazing example of what a designer can do with ornaments and textures. I’m a minimalism lover but textures have always fascinated me, I hope soon to have a project that will let me play a little. She started working as a book typesetter in 1984 and opened her own design firm in 1994 employing up to 12 people. In 2003, she left all of that behind to begin an experiment in following love instead of money, by doing work that was highly personal, obsessive and sometimes just plain weird. At the same time she began writing for the design weblog “Speak Up”, and her cheeky but thoughtful articles soon gained her recognition in the blogosphere. Through this two-pronged approach, Marian caught the attention of designers and Art Directors across North America. Marian’s art and design crosses boundaries of time, style and technology. She is known for her detailed and lovingly precise vector art, her obsessive hand work, her patterning and ornament. Often hired to create custom type for magazines, advertising and special projects, Marian’s work has an underlying structure and formality that frames its organic, fluid nature. It is these combinations and juxtapositions that draw the interest of such a wide variety of designers and typographers, from experienced formalists to young students. Among her international clients, she counts Saks Fifth Avenue, Penguin Books, GRANTA, Wallpaper*, The Guardian, WIRED, Stefan Sagmeister, Winterhouse (Bill Drenttel & Jessica Helfand), Maharam, Ogilvy & Mather Chicago, Young & Rubicam Chicago, Random House, Houghton Mifflin, Print Magazine, GQ Italia, andThe New York Times, among others from Europe, Australia and South America. I was at the Tate gallery meanwhile the “The World As a Stage” exhibition, which they done the design, was ongoing. Their design perfectly blends rigor and simplicity with engagement and originality. 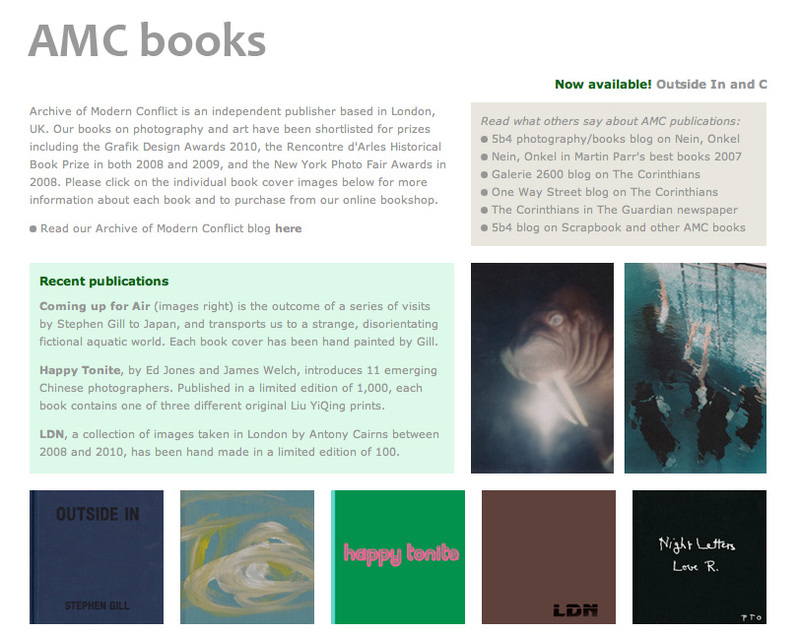 Archive of Modern Conflict is an independent publisher based in London, UK. Our books on photography and art have been shortlisted for prizes including the Grafik Design Awards 2010, the Rencontre d’Arles Historical Book Prize in both 2008 and 2009, and the New York Photo Fair Awards in 2008. Please click on the individual book cover images below for more information about each book and to purchase from our online bookshop.